Lovina H. Shepherd, daughter of Jesse B. Shepherd and Sarah Mariah Lathrop, was born in May 1868 in Warren Co.,Illinois and died in 1942 in Iowa. She married Ulysses Clark Grubb Oct. 10, 1888 in Taylor Co., Iowa. 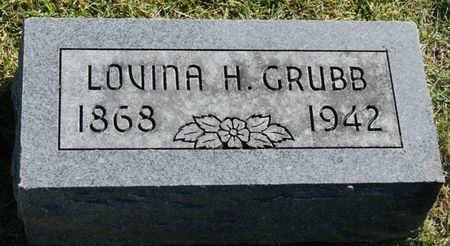 Searching for LOVINA H. GRUBB in Taylor County Iowa?